Despite the scary news stories and terrifying viral videos, take a deep breath and board your next flight without fear. Even though turbulence might be increasing due to climate change, it’ll take a few decades before we’ll really notice the effect. Besides, modern jets are built to last: “In all but the rarest cases, even the most violent turbulence will not seriously damage an aircraft or cause it to crash,” says active pilot Patrick Smith, author of Ask the Pilot and who’s blogged about aviation since 2002. All that said, turbulence is undoubtedly scary and certainly dangerous in some albeit rare circumstances. When you’re lurching in a thunderstorm at 40,000 feet in the air in a pressurised metal tube with nothing but a carry-on and your prayers, turbulence is no joke. Last year, I wrote about my own trouser-wetting nightmare that left me with some enduring flight anxiety. That’s not including other airborne horrors from earlier in 2015 and 2014 that international news organisations plastered across their papers and websites. What's the big idea? Is the media just riding the attention train into the sunset? Or are terrifying flights becoming the norm — and if so, why? Indeed, we are, and there’s solid data that shows the trend. Two years ago, UK researchers published a paper in the journal Nature Climate Change that projected plane turbulence over the Atlantic Ocean would increase by 2050. As the effects of climate change worsen, turbulence described as at least “moderate” could crank up from as little as 40 per cent to a whopping 170 per cent increase. 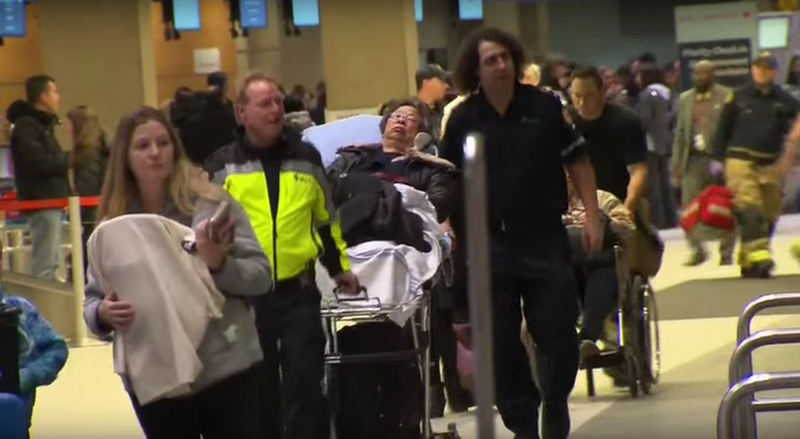 What’s causing the injuries in recent news stories is known as “clear-air turbulence”. This particular type of turbulence is especially problematic, since it’s not necessarily weather-related at all. Clear-air turbulence also can’t be seen on radars ahead of time, so pilots can’t always account for it. That’s why we’re always told to remain seated with our seat belts fastened, even if the light is turned off. How dangerous is turbulence, actually, if dozens and dozens of people are being greeted by ambulances upon emergency touchdown? The US Federal Aviation Administration’s (FAA) most recent numbers report that, between 1980 and 2008, there were 298 “serious injuries” and three fatalities because of turbulence. The majority of those injured — 184, to be exact — were flight attendants, who are usually up and about and not buckled up. Williams also explained that clear-air turbulence is strongest in the winter. So, for those of us in the northern hemisphere, it’s normal to see spikes in the turbulence stats from December to February. With all our new technology, can’t we do something to help avoid turbulence? 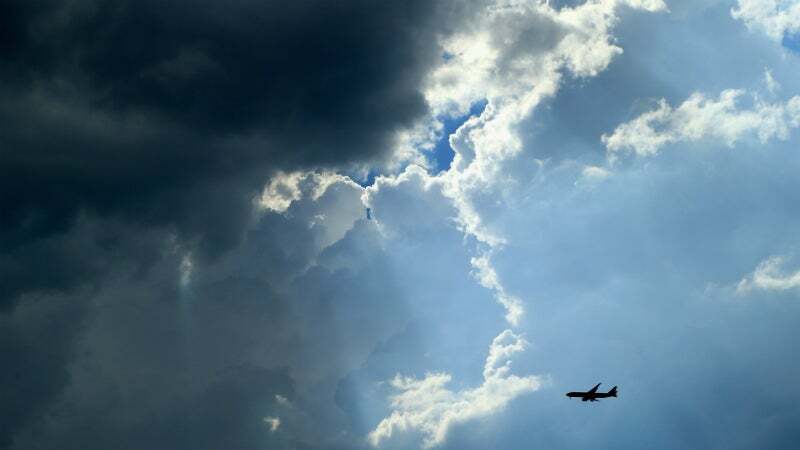 When turbulence grounded that American Airlines flight on January 15, ABC News reported that the airline was to install new radar software on its jets that could help pilots more easily spot smooth paths in storms. That still doesn’t take care of that pesky turbulence of the clear-air variety, but it’s a start. So when you log onto Facebook and see another severe turbulence story, don’t panic. More news stories doesn’t mean more threats – at least, not right now. And remember, even the most violent turbulence isn’t enough to damage a plane, let alone take one down. In nearly all cases, turbulence’s bark is worse than its bite. One last word of advice from Smith: “Remember, most people injured in these encounters are hurt because they did not have their seatbelt fastened when they should have.” So at least there’s only thing you can control.